Hey there! It’s Kelly from The Little Things. I love all of the hoop art I’ve been seeing on Etsy and my Instagram feed lately and thought I’d have a go at creating some of my own. 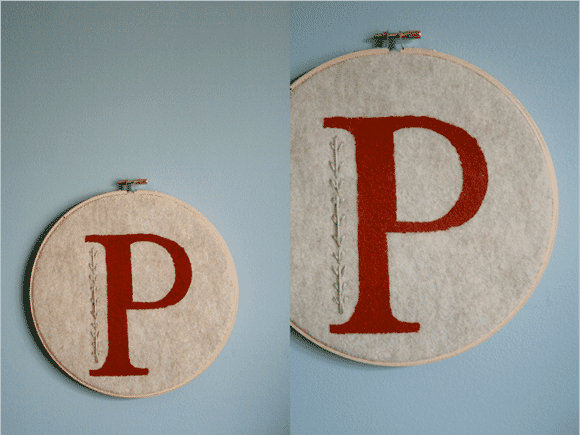 I love how sweet and simple this turned out and these make for great gifts. This one in particular is for a very good friend of mine who’s baby shower is coming up. 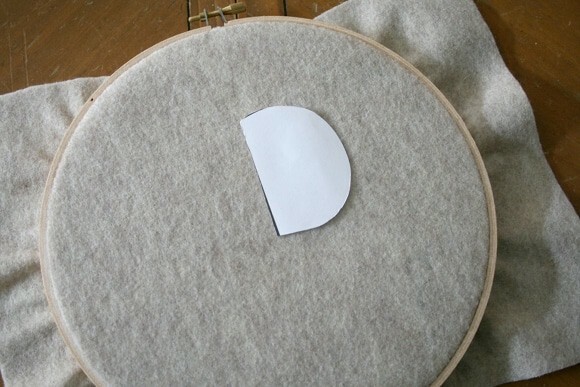 Print out a basic silhouette of the image you want in your hoop. 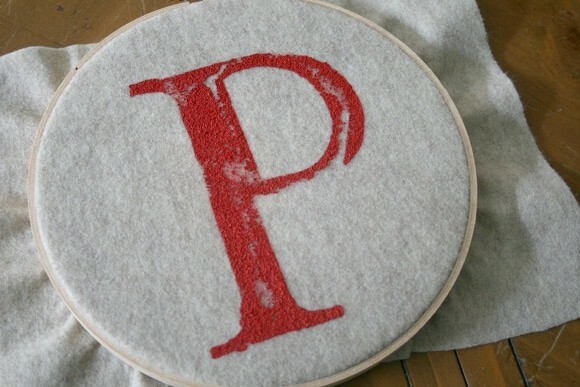 I choose a letter but I’ve also done this with state outlines which turn out great! Cut out the shape. 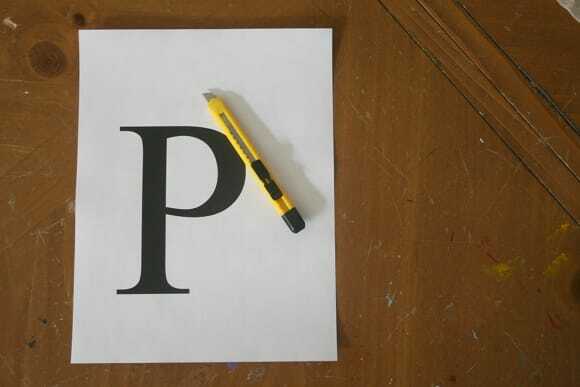 If you’re using a letter that has cutouts, cut them out as well and save them to the side. 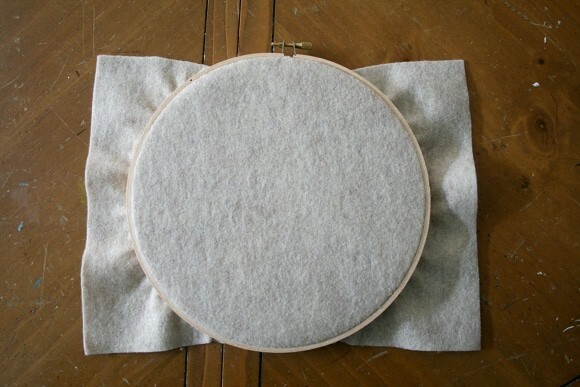 Place the felt in your hoop and close it as tightly as possible. Put the stencil on top to figure out where it goes but only leave the cutout(s). 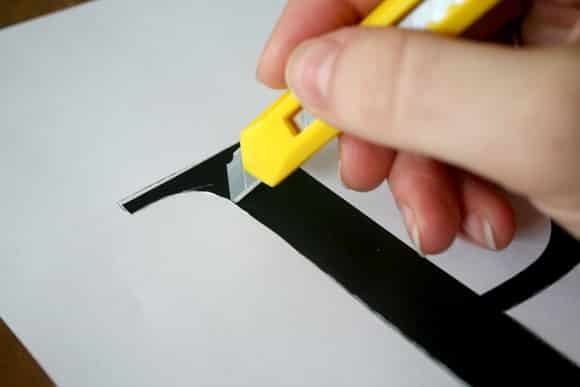 Now paint a thin layer of paint around the cutout(s). This will provide you with a guideline for the rest of the stencil. 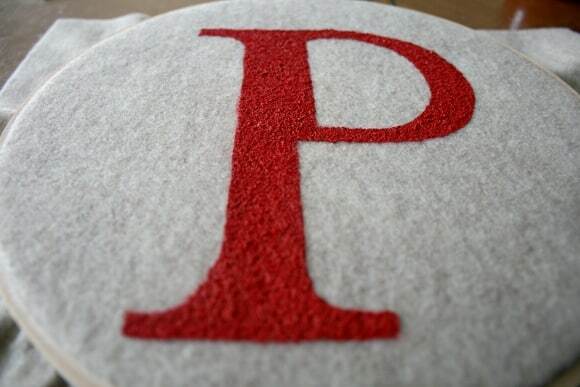 Put the other part of the stencil on the felt and begin to fill it in. 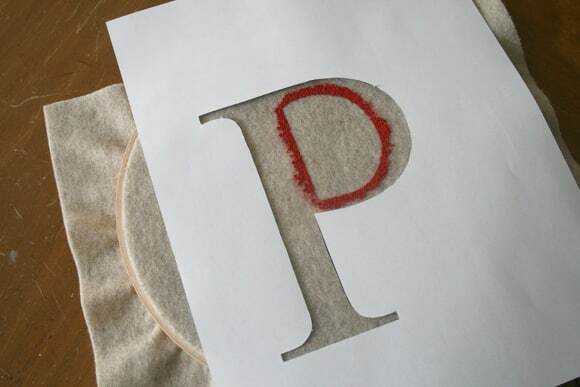 Since felt is pretty absorbent, you’ll need a good amount of paint. 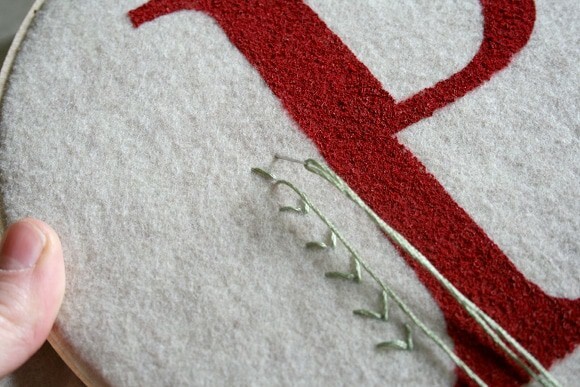 After the paint has dried, Add some detail with the thread. I find that keeping it simple, like basic shapes and lines, work best. They are easier to free hand. 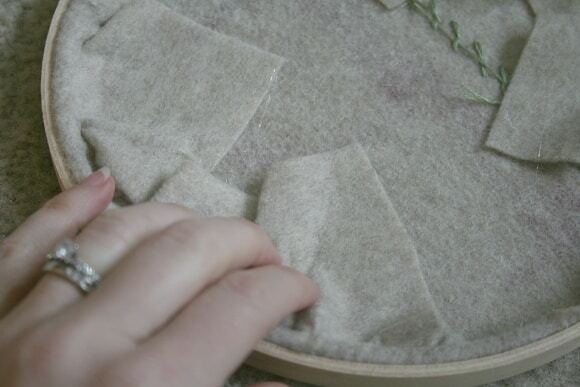 Finally, pull the extra fabric around the back and glue it down. 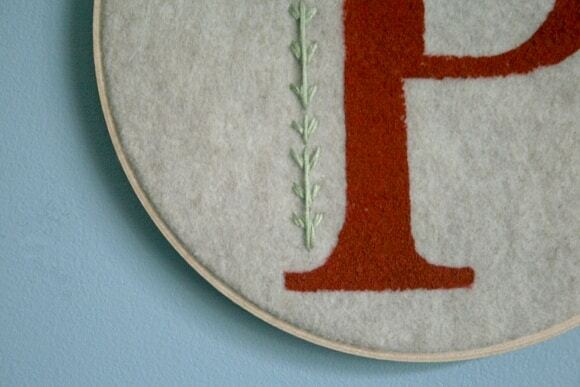 I can’t wait to see how this looks in my friend’s nursery! 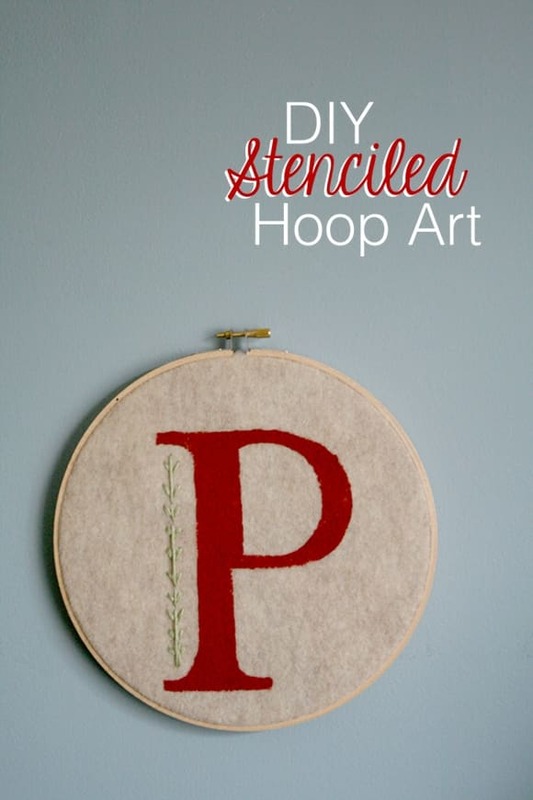 Want more hoop art? Check out THIS DIY! Happy first Saturday of the year!